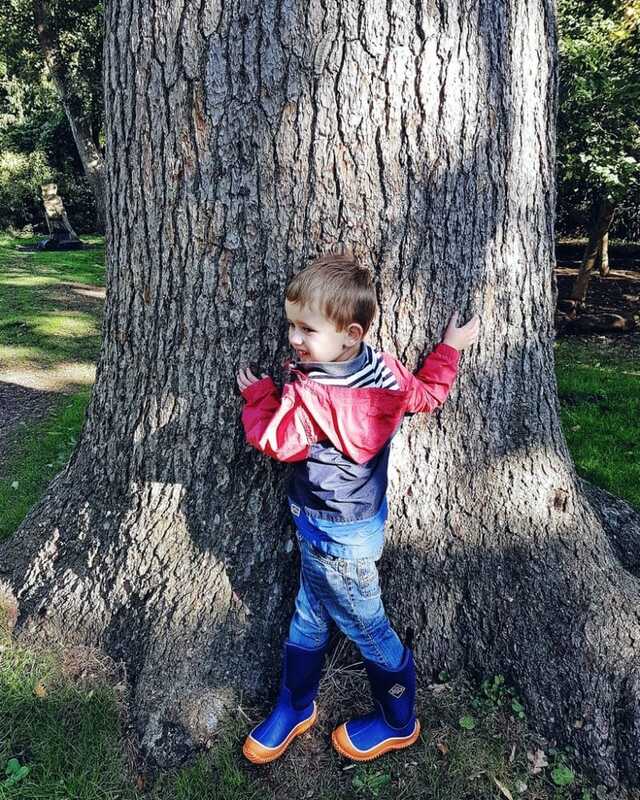 As you might know from my Instagram feed, we love getting out and about and exploring nature as a family. One of our favourite places to visit is Croome Park National Trust site; there are so many different places to explore there. 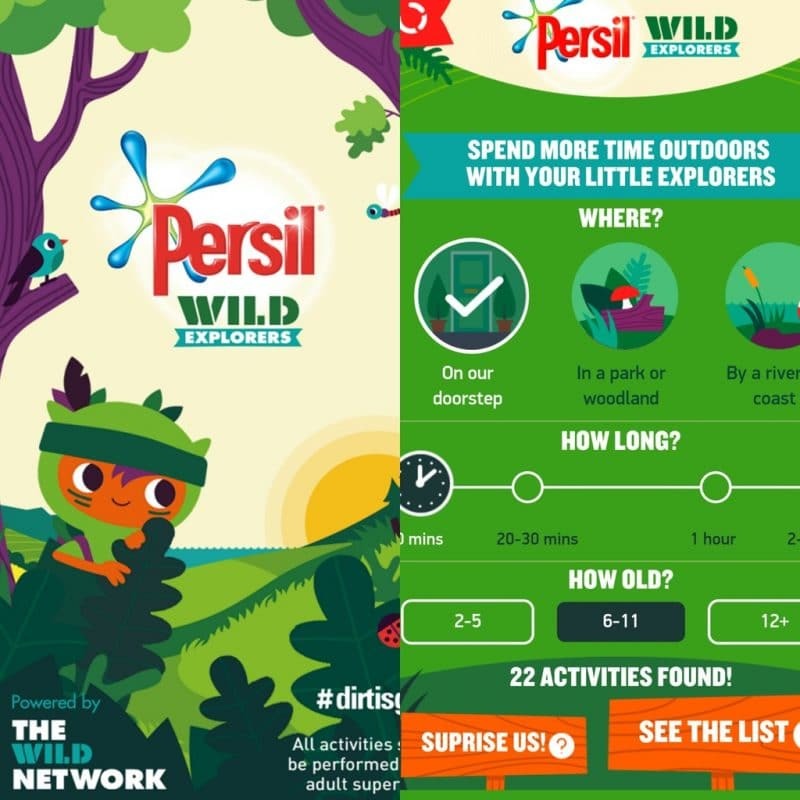 That’s why we were delighted when we heard about the Persil Wild Explorers App, powered by The Wild Network – we knew it would really enhance our next visit. 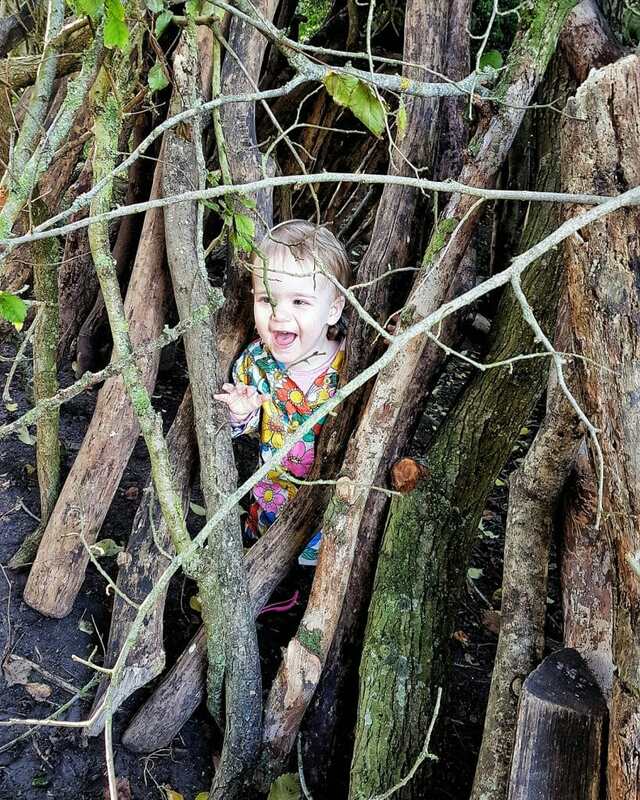 Just like Persil, we are passionate about outdoor play and know that getting messy is one of the best ways to learn – and have fun! 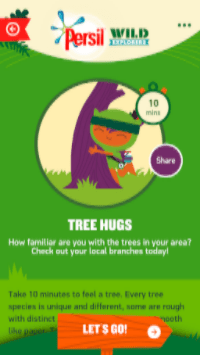 The app has ideas for over a hundred outdoor activities to get your kids outside, playing and learning. There are ideas for all age ranges, destinations and time scales. The first activity we tried was examining all the different trees we could find in the area. We felt the different textures of the bark and discussed how they were different. Biggest loved this activity. Being on the autistic spectrum means that he seeks out sensory experiences, especially to do with touch. He told me this tree felt “a bit crispy”. 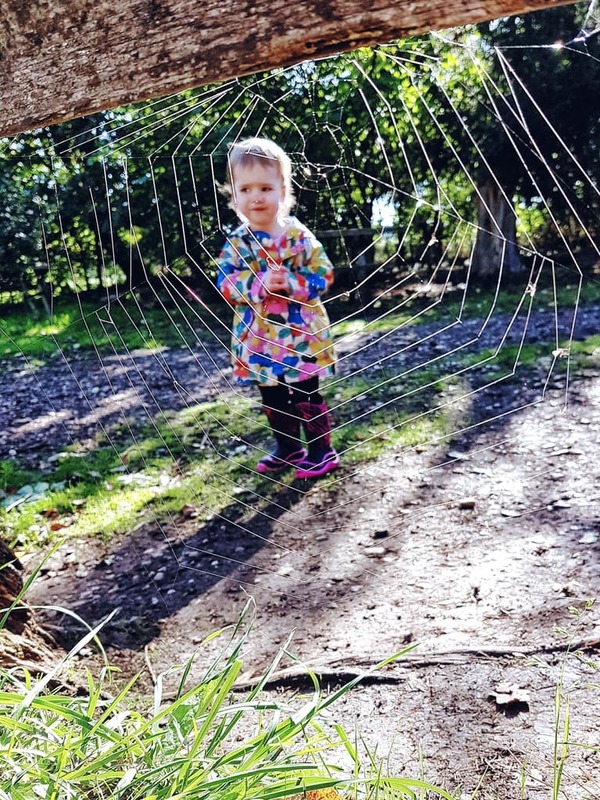 Another great activity was searching for spider-webs around the natural play area at Croome. We were very lucky that it was a beautiful, sunny, dew soaked morning and so we spotted several, catching the morning light. We also had a brilliant time searching for ‘treasures’ on the forest floor. This was Littlest’s favourite activity by far and she kept bringing me sticks and stones and leaves for me to admire. 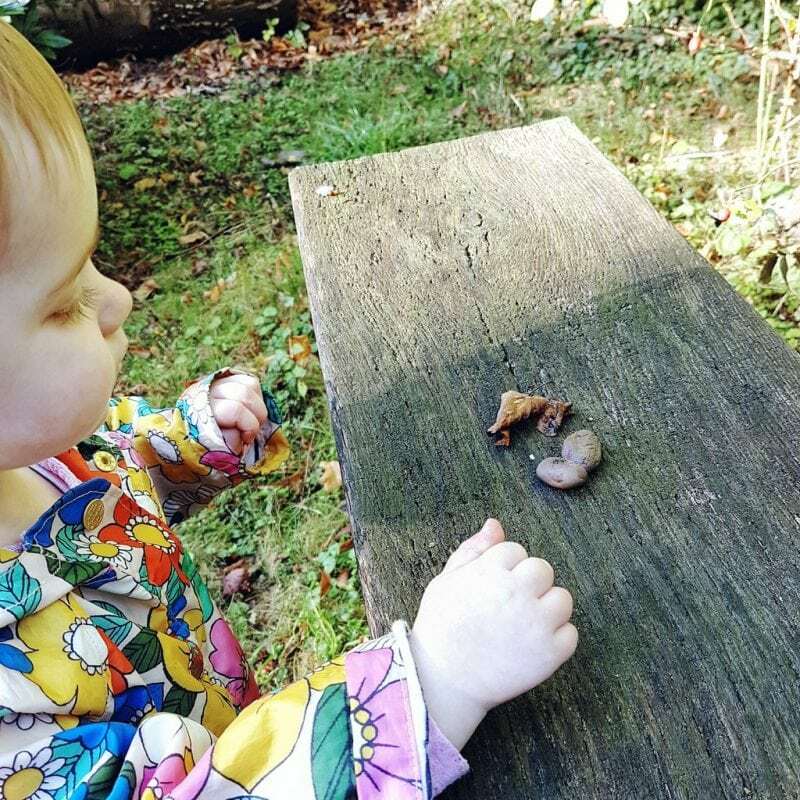 She then collected them together on a bench, all by herself, and spent a lot of time picking them up, admiring them and chatting to me about them! 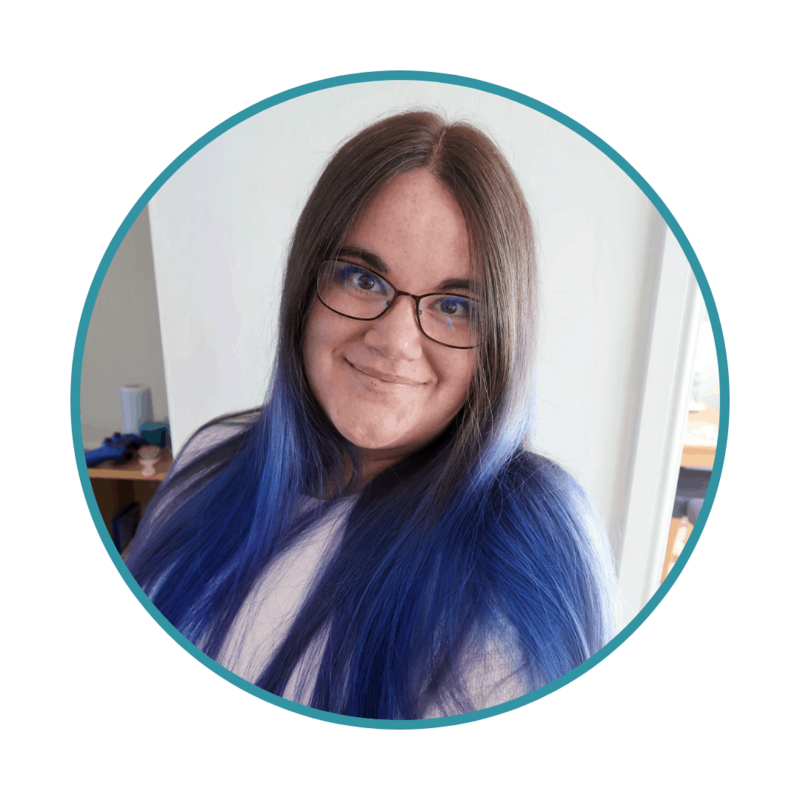 We really love this app; it’s very user-friendly and the activities are genuinely simple to do on any timescale or budget. Some require items such as note books or magnifying glasses but generally they are things that are very easy to find. Consequently, the app really does make it stress-free to get outside and channel the children’s energy into something fun and productive. Many of the activities involve mud, or at least not being afraid to have fun in the dirt! Therefore, Persil are encouraging people to share their outdoor activities on social media with the hashtag #DirtIsGood. We will be joining in with the campaign on Instagram, Facebook and Twitter. 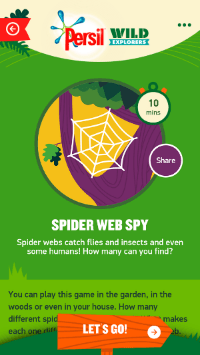 You can download the Persil Wild Explorers App from The Apple App Store or the Google Play Store. Disclaimer: Persil sent us some washing powder (to help clean up all the muddy fun!) in exchange for this review. All opinions are my own and we only share products and apps we love. What a great sounding app. Anything that gets them off the settee and outdoors is good in my books!